Past and present, modern comforts and traditional settings, in addition to world-class hospitality, merge seamlessly at Tanjung Rhu Resort. 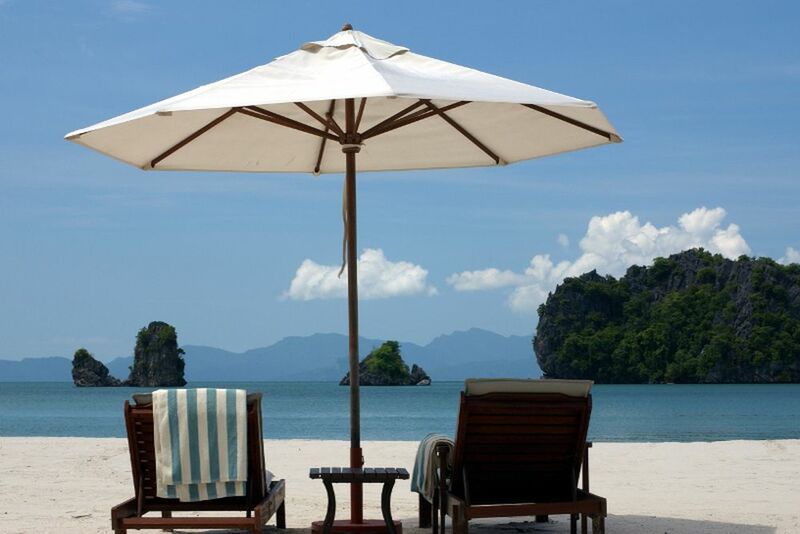 Standing at the northern tip of Langkawi, Malaysia, Tanjung Rhu Resort is nestled in the cool shade of rustling Casuarina trees on a 2.5 km white sand beach kissed by the aquamarine waters of the Andaman Sea. 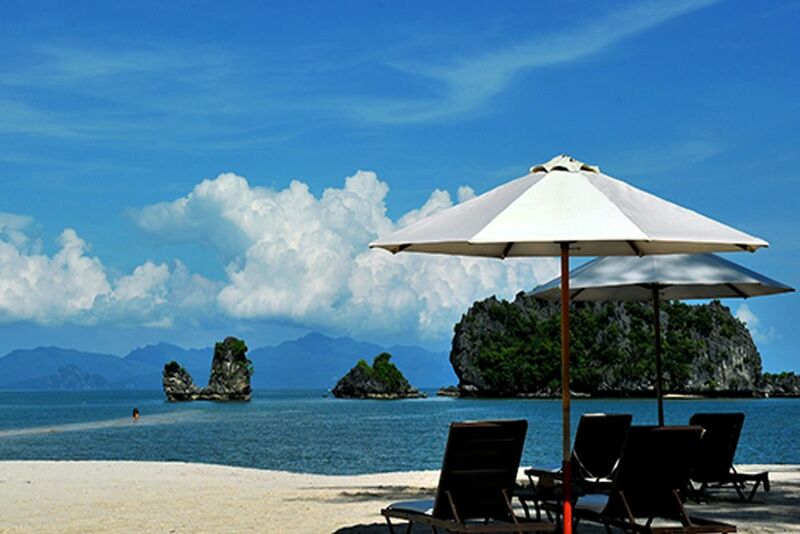 Tanjung Rhu is a kaleidoscope of splendid flora and fauna that every nature lover would love to discover! 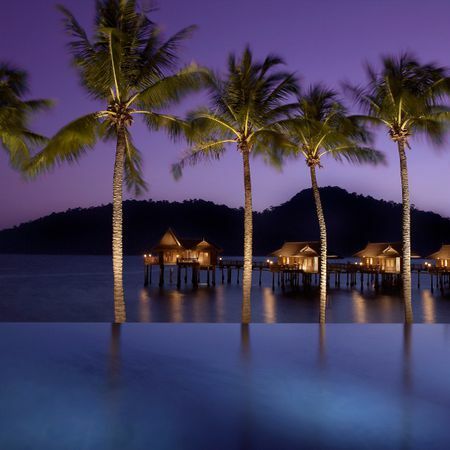 It is home to one of Malaysia’s most unusual ecosystems, with a vast mangrove forest (one of the country’s oldest) as a deserving centerpiece. Take a 2-hour boat ride into its heart, or simply take a hike on a simple or challenging trail- adventure awaits! 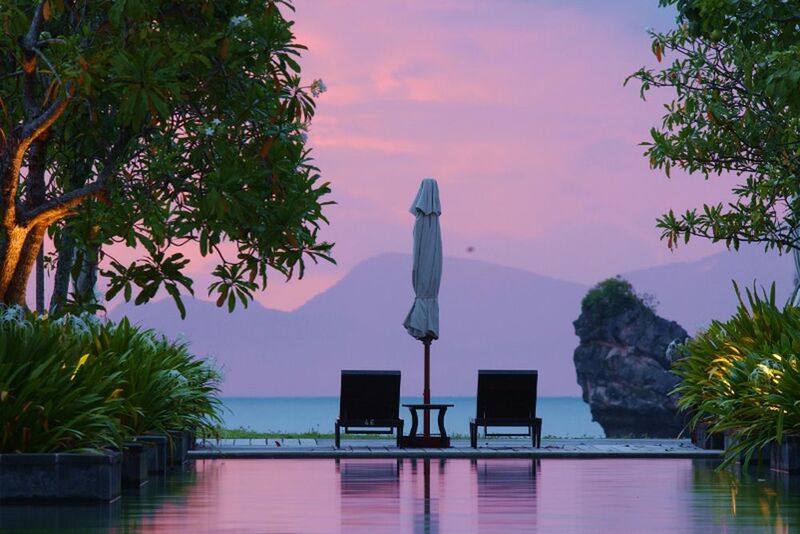 Tanjung Rhu Resort has been built in a circular, traditional architecture around a picturesque pool. 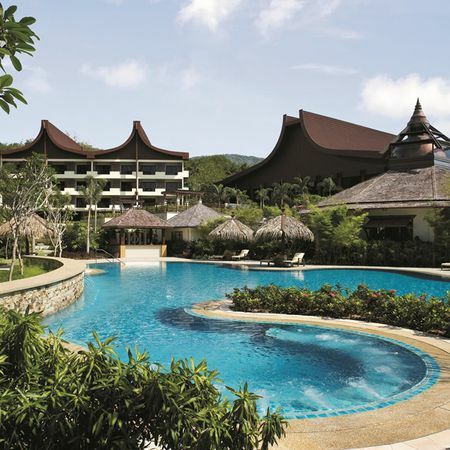 Perfectly nestled in the tropical rainforest, the resort has a total of three restaurants and a poolside bar serving snacks and cocktails. 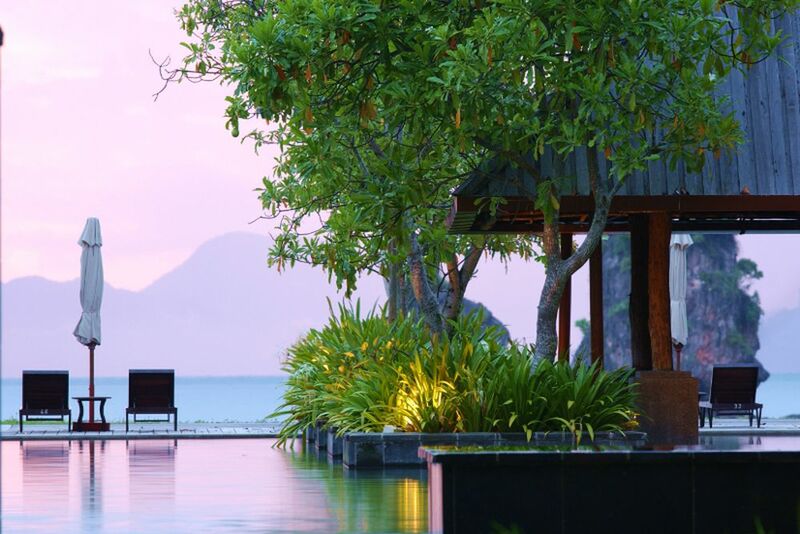 Take a dip in one of the three fantastic swimming pools to refresh after a day of exploring. Be sure to experience the 60-meter-long infinity pool and enjoy a spectacular view of the beach and sea. Other facilities include a tax-free souvenir shop, kids club, a hairdressing salon and a library. 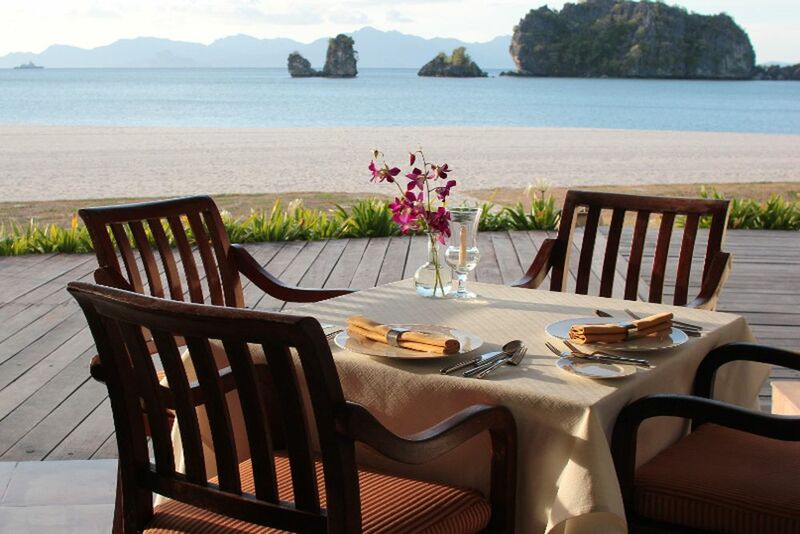 Tanjung Rhu Resort leaves the options open for guests to choose their true haven of romance, privacy or tranquility. Have a picnic lunch on an uninhabited island, a romantic barbecue under the stars, or al fresco fine-dining on the beach-- whatever the choice, the chefs aim to please all palates! 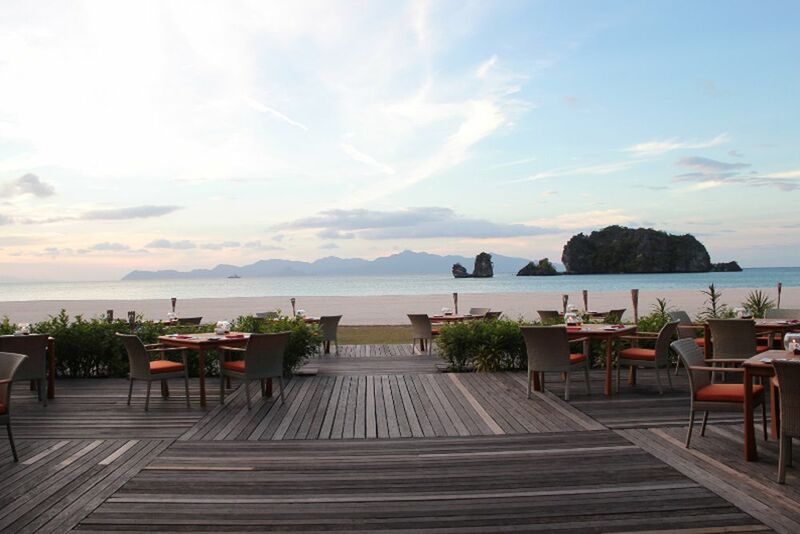 The Rhu restaurant serves international delicacies, the Sands restaurant serves Asian cuisine, and Safron offers fresh fish dishes. 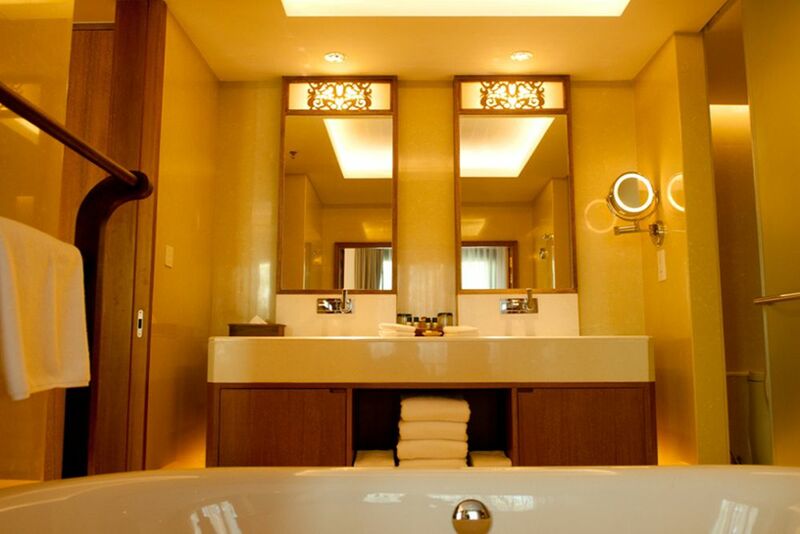 The well-fitted, deluxe suites are designed to give you no less than utmost comfort. There are four room categories available distributed in 4-storey buildings. Amenities include a flat screen TV, Blu Ray DVD player, minibar, coffee/tea making facilities, Wi-Fi, telephone, safe, air conditioning and an iron. Damai Suites (50 sqm)- The elegant oceanfront suites have a living area and a small balcony with views of the central garden courtyard. The suites include a king-size bed, lounge with a flat-screen TV, and an en-suite bathroom with hot shower facilities. 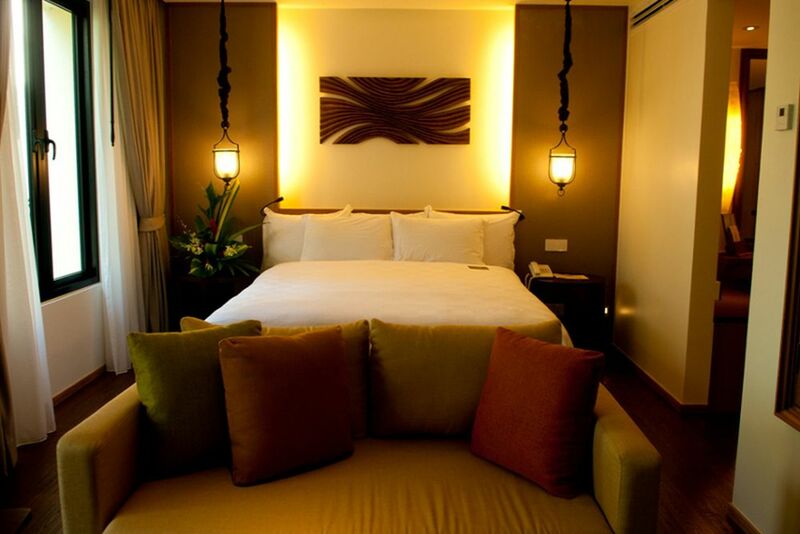 Cahaya Suites (60 sqm)- The elegant ocean front suites have a king bed, separate lounge with a flat-screen TV, private balcony with relaxing views of the lush gardens, and an attached bathroom with hot shower facilities. 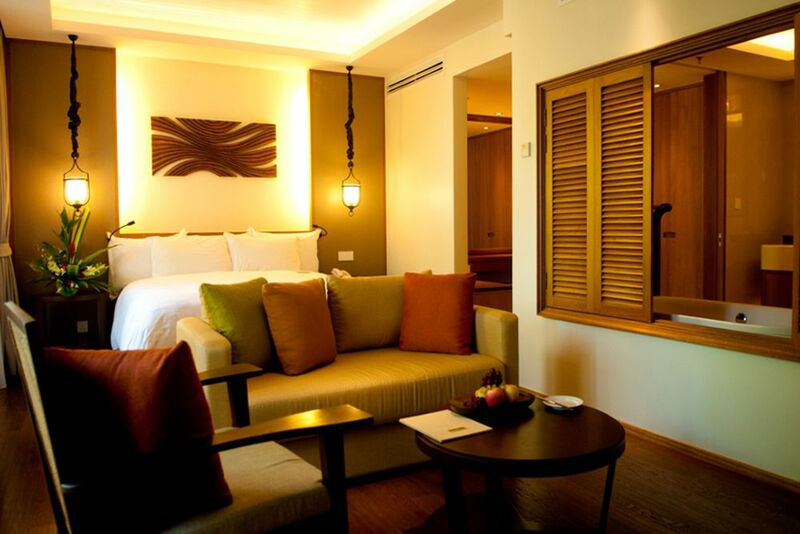 If you are looking for a spacious suite with the added luxury of a separate living area, stay in the 80sqm Bayu Suites. Choose between the Bayu Suria Suite (views of the garden or pool) or the Bayu Senja Suites (offers breathtaking views of the sea). JivaRhu is the resort’s mesmerizing spa area! Pamper yourself from head to toe, and choose between an array of massages and treatments. Relax in the rejuvenating Jacuzzi after you finish your wellness treatments. 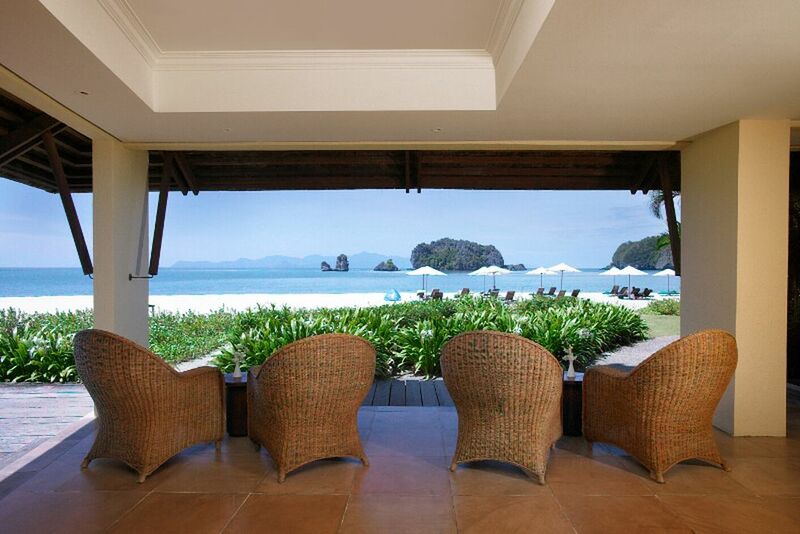 Guests of Tanjung Rhu Resort- look forward to a variety of sport activities! You have full access to the modern fitness center and the resort’s tennis court. For a fee, try aerobics, yoga, windsurfing, kayaking or catamaran trips!